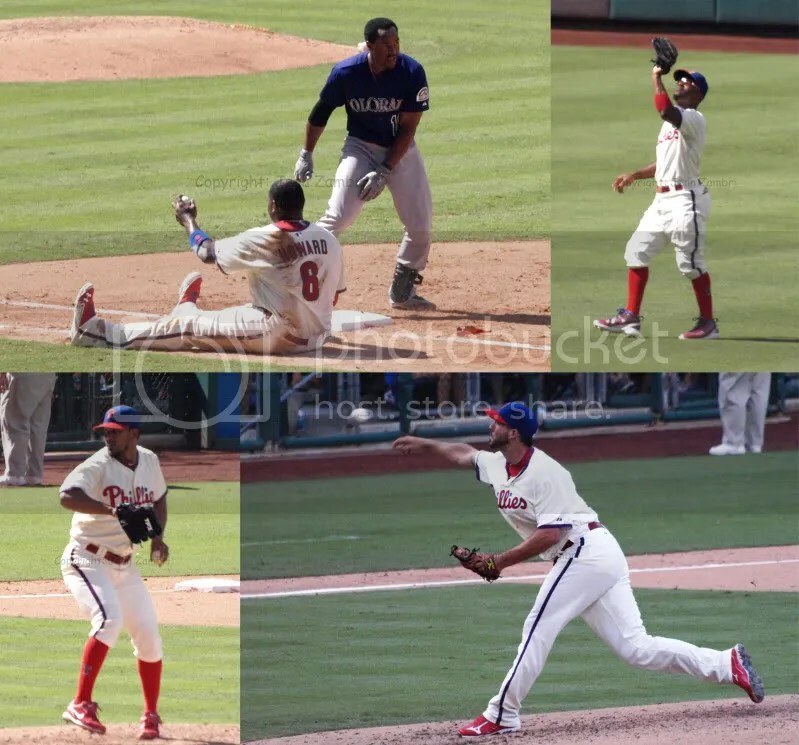 After a ridiculous 3 hour rain delay on Saturday, the Phillies finally settled on a Sunday doubleheader to finish off the Rockies series. Cole Hamels started the Day Game and allowed only 2 runs in 7 innings. 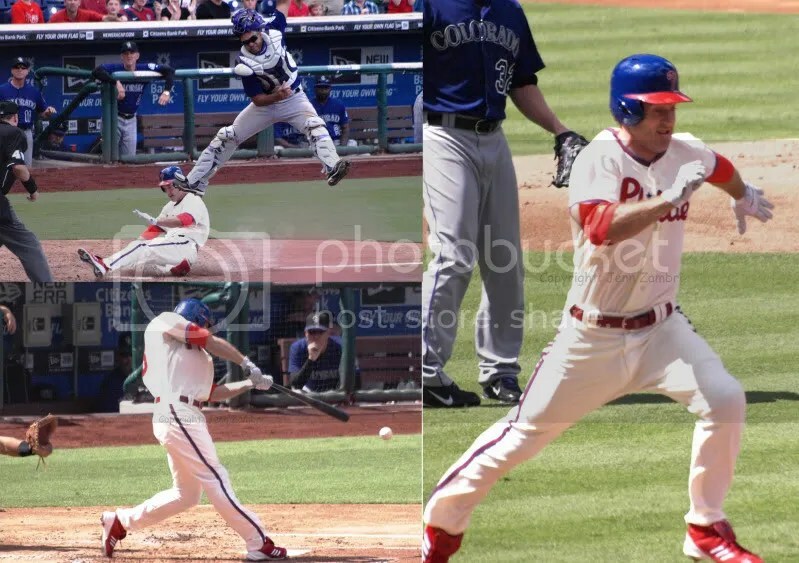 The defense was solid, but the highlight was watching Ryan Howard hold onto the ball for an out after getting bowled over at 1st base by a Rockies player. 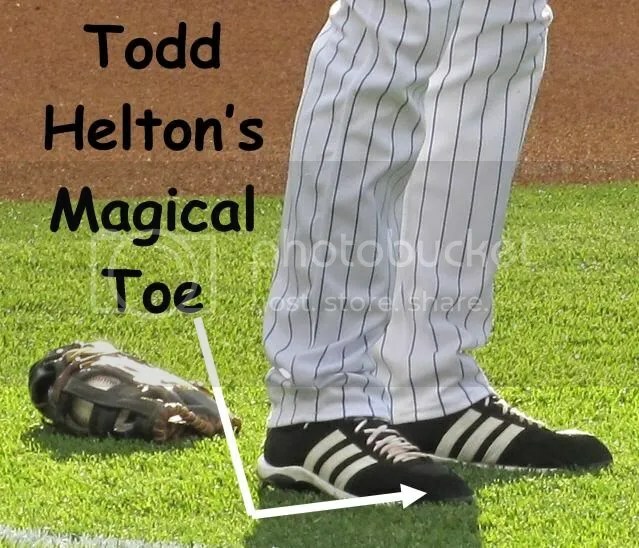 He also had 2 key RBI in the game. The bullpen did not allow a run, setting up a 2-2 tie game going into the bottom of the 9th. With the bases loaded and 1 out, John Mayberry Jr. connected for a game-winning, walk-off single. The excitement continued in the Night Game, which turned out to be a comedy of errors for the Rockies. They fumbled, dropped and just plain missed a lot of balls hit their way. 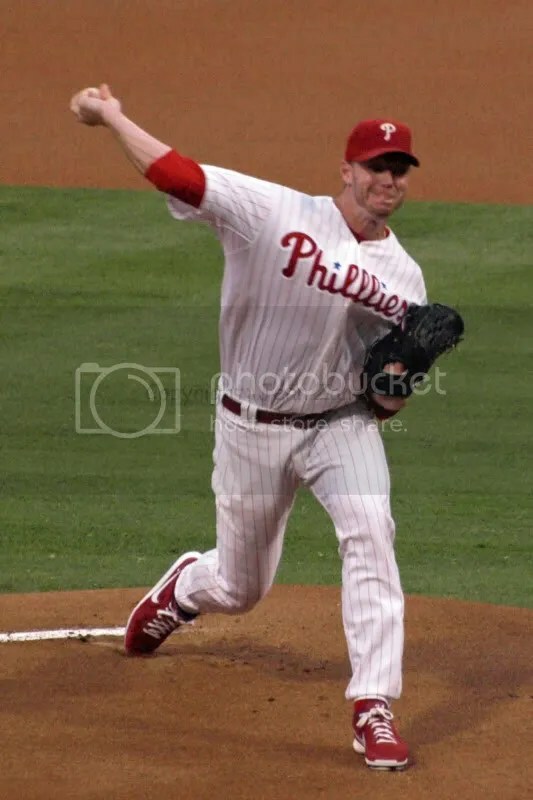 5 errors helped keep the Phillies alive after rookie starter Tyler Cloyd gave up 4 runs in 4 inning. 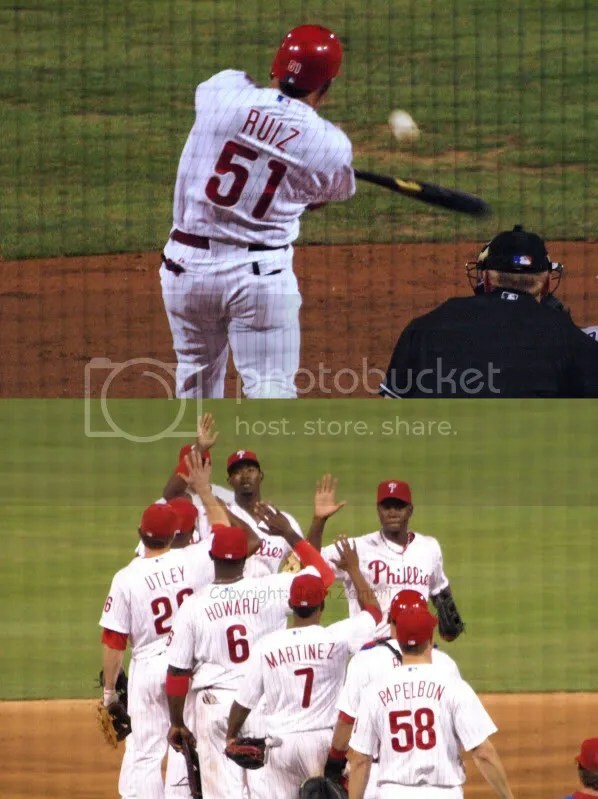 As it turns out, all the Phillies needed for the win besides pitching was Carlos Ruiz. Fresh off the DL, Chooch got a standing ovation when he stepped in to pinch hit. 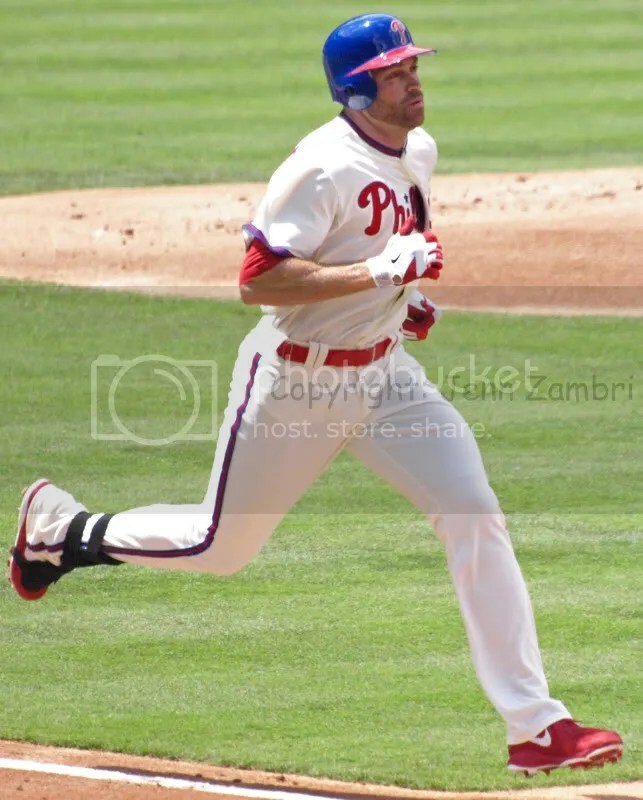 And he promptly added to the Phillies fever with a single in the 6th that led to 2 runs and a Phillies lead. Chooch stayed in the game to catch. 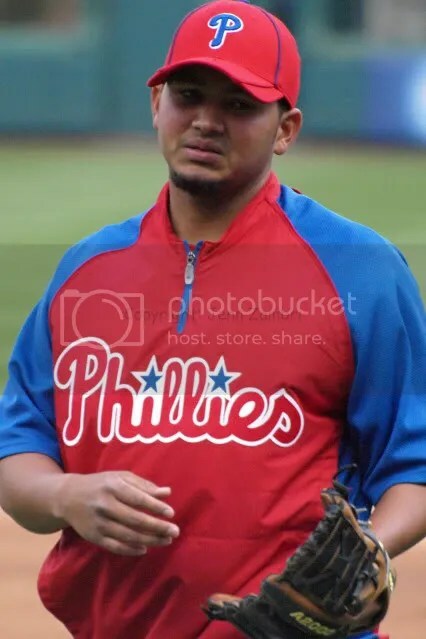 Ruiz was 2-for-2 with an RBI in his return, coming in cold off the DL, not having played a single inning in over a month. 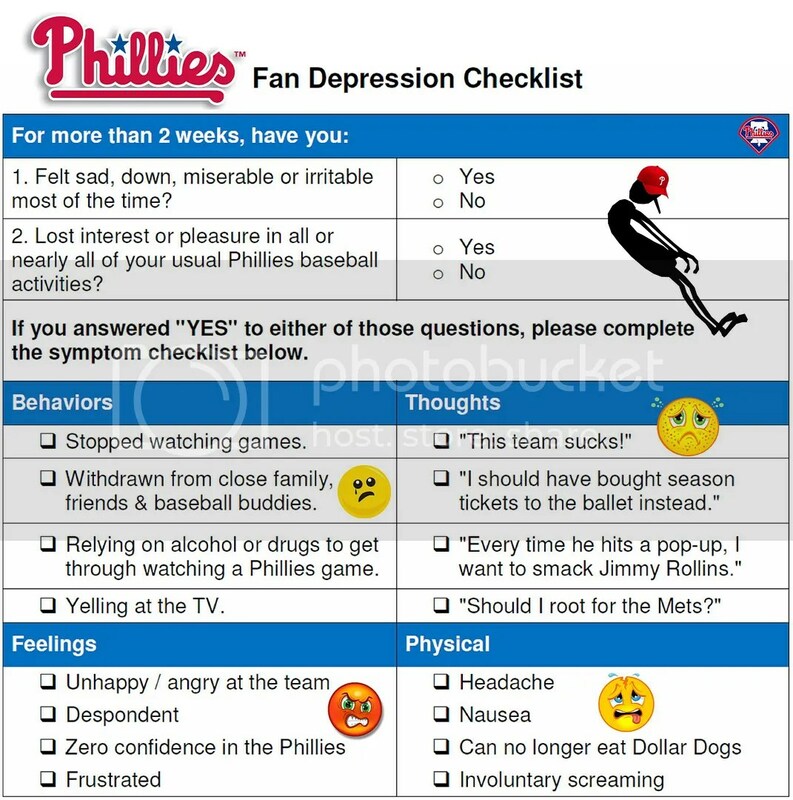 No rehab start…nothing. 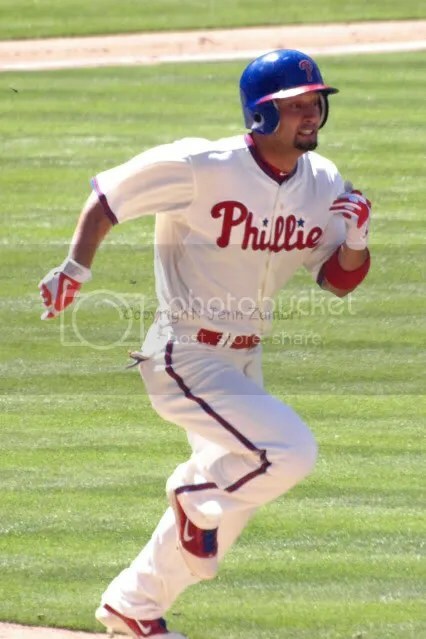 Just pure Chooch. This guy is incredible. Chooooooooooooooch!!! 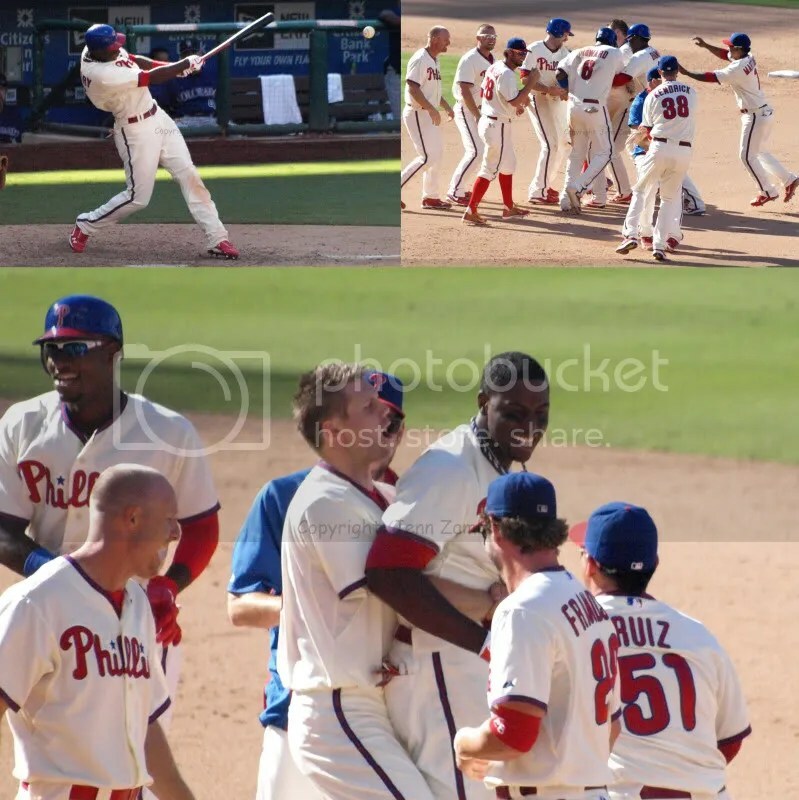 The Phillies went on to win by a score of 7-4 to complete a 3-game sweep of the Rockies. I have photos of both Game 1 and Game 2; just click the links. Yes, it was a long day, but worth it! The Marlins are up next….and a run at the postseason??? Hmmmm…..